What are you entitled to (Access)? 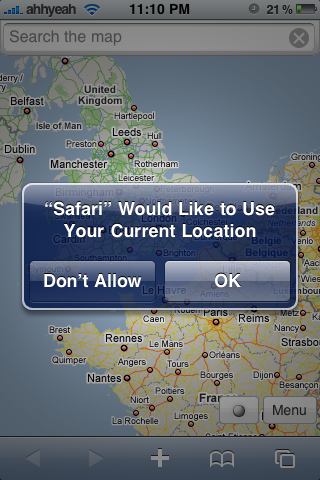 Every location based app out there wants your mobile phone or wearable to tell it where you are. This is achieved with a small bit of technology called “geolocation.” “Where are you?” – is what we’ll focus on in this blog post. They associate real-world locations to things like events, points of interests (ATMs, stores, restaurants, etc) to your location. There are two mechanisms currently used to determine geolocation. One is based on radio frequency location and second on IP/Mac address type information. Geolocation for mobile and GPS traditionally use radio frequency (RF) location methods, for example Time Difference Of Arrival (TDOA) for precision. 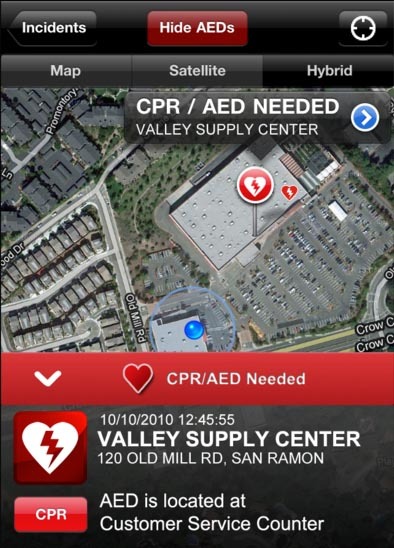 TDOA systems often utilize mapping displays or other geographic information systems. Smartphones have a richer geolocation experience than desktops because of the real-time feedback services to the location. Usually they have an embedded GPS chip which uses satellite data to calculate your exact position, which services such as Google Maps can then map. When a GPS signal is unavailable, geolocation apps can use information from cell towers to triangulate your approximate position. Some hybrid techniques have evolved recently like Assisted GPS (A-GPS) for higher accuracy. Internet and computer geolocation can be performed by associating a geographic location with the Internet Protocol (IP) address, MAC address, RFID, embedded hardware article/software number. Geolocation usually works by automatically looking up an IP address on a WHOIS service and retrieving the registrant’s physical address. IP address location data can include information such as country, region, city, postal/zip code, latitude, longitude and timezone. Most modern browsers like Firefox, Internet Explorer, Safari, Chrome, and Opera have geolocation API support. Chrome even has support for the World Geodetic System (WGS 84) navigation system, which is the reference coordinate system for GPS. 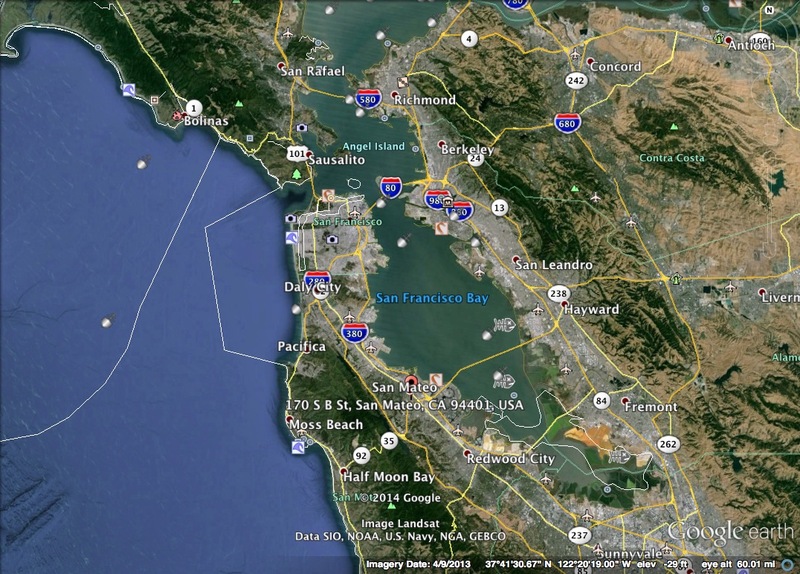 These geolocation APIs center around a new property on the global navigator object: navigator.geolocation. 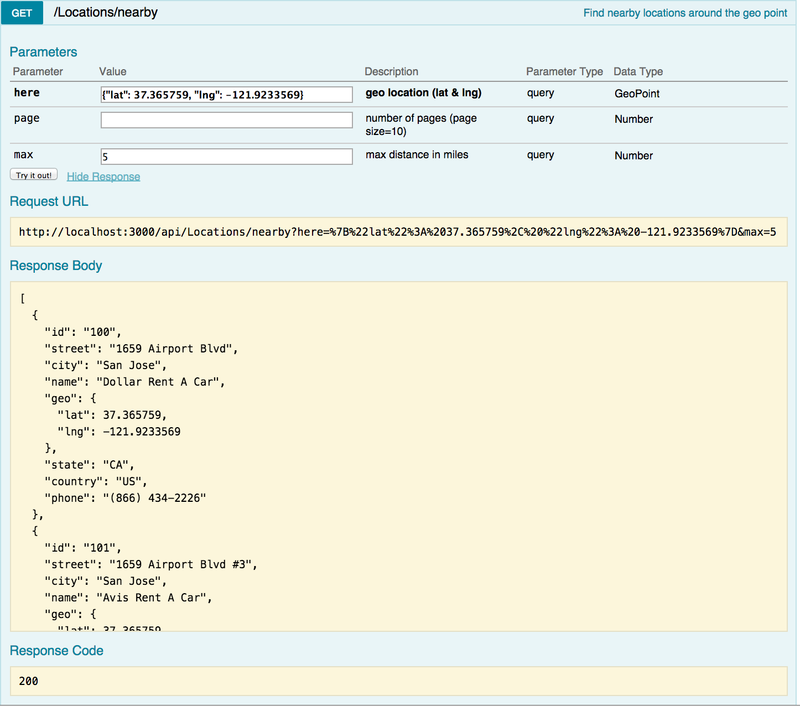 The API is designed to enable both “one-shot” position requests and repeated position updates, as well as the ability to explicitly query the cached positions. Location information is represented by latitude and longitude coordinates. Calling the getCurrentPosition() function of the geolocation API will cause the browser to pop up an “infobar” at the top of the browser window providing the website name that is seeking to know your location. Thus letting you choose (opt-in) to share your location or deny sharing and allowing the browser to save your opt-in choice (share/don’t share). You can find comprehensive examples of recursive location/position updates, error handling, caching and more on W3C spec for Geolocation API. Can I get geolocation served as an API or a backend service ? Let’s build geolocation as a service! Started the import of sample data. For more advanced runtime commands like running daemonized, in-cluster mode, with log aggregation, with monitoring et all, please checkout the StrongLoop Controller and Perfromance Monitoring pages. 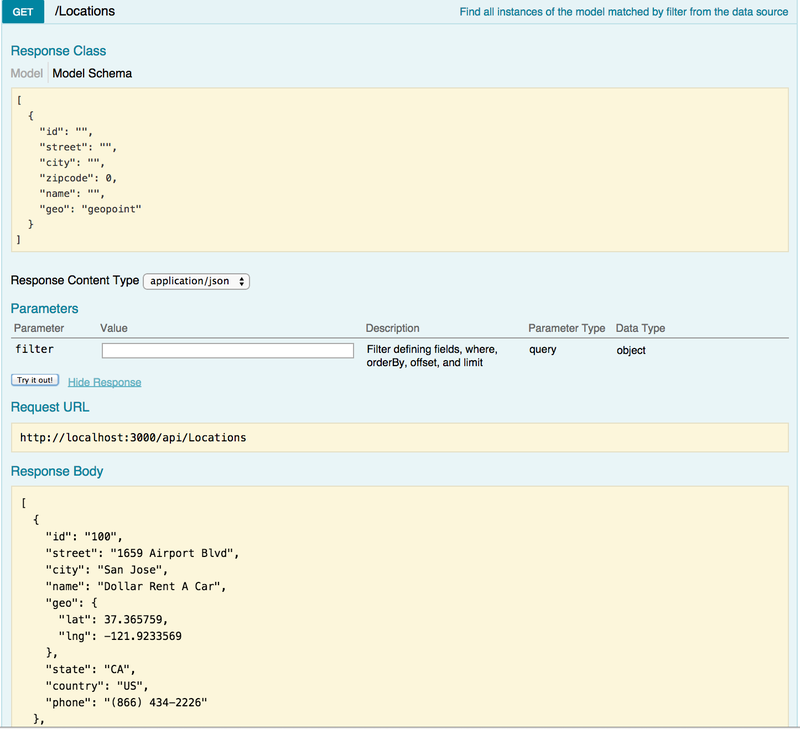 By default the Loopback API Server instance connects to an in-memory object store. You have options of connecting to relational datasources (Oracle, MySQL, PostgreSQL or SQL Server), NoSQL databases like MongoDB, services like REST and SOAP, or proprietary backends like Sharepoint, SAP, or ATG. Opening a browser and running the URL http://localhost:3000/explorer, we instantaneously get our APIs running in Swagger 2.0 interface with RPC/remoting built-in from the browser to the Node.js server. Here we see that APIs have been auto-created for Car Rental services, which help detect cars, inventory, locations for dealerships, etc along with automatic API end-points for every CRUD and custom operations. 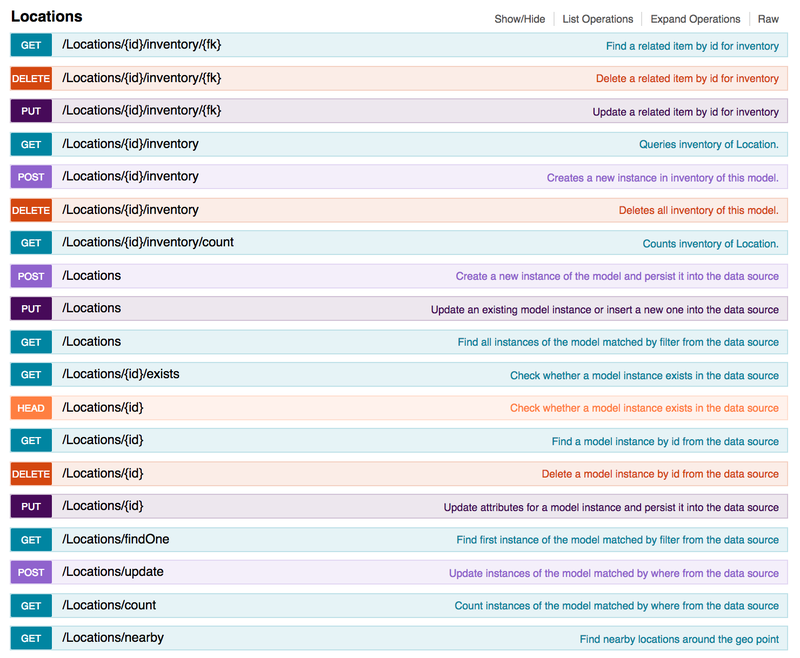 Clicking on the Location API, we can see all endpoints. 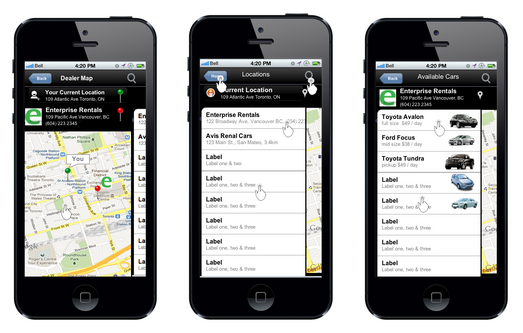 Of particular interest are “GET /Locations” and “GET /Locations/nearby”. We can click on the “Try it out !” button under both these API endpoints. GET /Locations returns us a list of all the rental car center/dealership locations. We can see that the geolocation is being calculated by the server and would be great we query nearby rental car centers based on a particular geolocation. Here I am passing a geolocation as a query in terms of latitude and longitude and a Distance To query parameter, which is “5 miles” from that geopoint. In the result set, I get back a list of all rental car centers in a 5 mile radius from the specified lat/long. WOW ! that was slick, but how much code do I need to write ? Not much. Once location is embedded in a model, Loopback framework takes care of all the compute, filter, pagination, middleware wiring and rendering. Here is the code snippet that makes geopoint work for finding coffee shops near a physical location (lat/long pair). Determine the spherical distance between two GeoPoints. For more details please check out http://docs.strongloop.com/display/LB/GeoPoint+class.